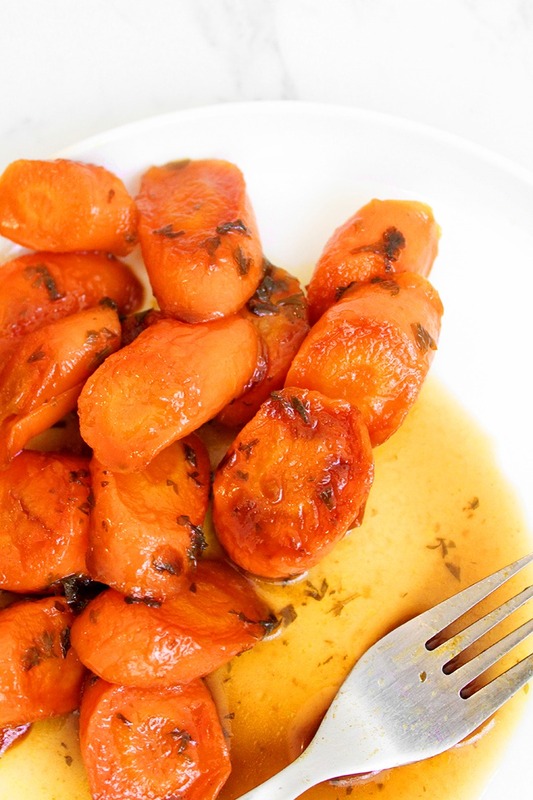 This delicious side dish of fried and lightly glazed carrots just adds something special to regular meals. It’s one of my favourite side dishes to make with roasted vegetables and mashed potato. Sometimes I even keep some in the fridge and add it to my salads at lunchtime. I’ll use the extra bit of glaze that collects in the bottom of my container to dress the salad with! If you’re after more vegan side dishes, check out my homemade falafels and my pumpkin couscous fitters! 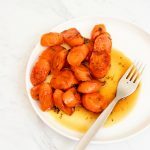 Are you going to make these lemon maple glazed carrots? Share your pics with me on Instagram @lemonthy.me! Also feel free, as always, to leave any questions, comments or suggestions below. Heat the olive oil in a saucepan over medium heat while you chop your carrots into diagonal oval slices and finely chop your parsley. 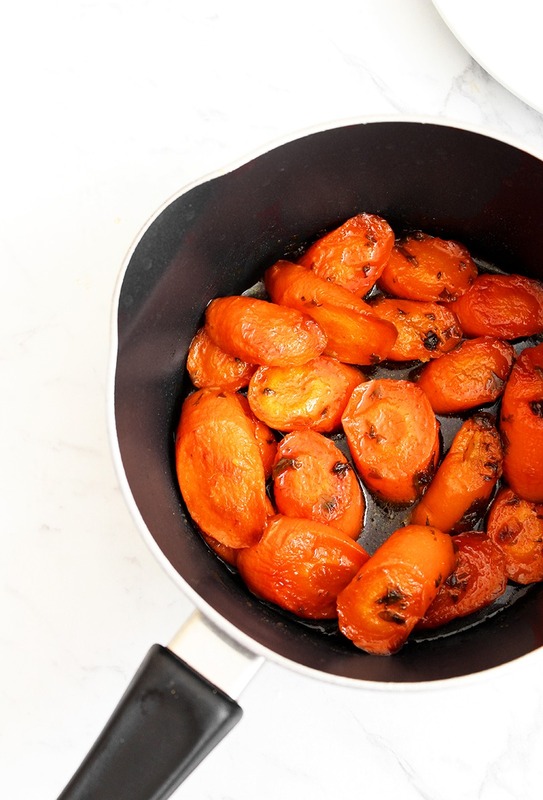 Add them both to the saucepan and toss occasionally until the carrots are soft enough to stick with a fork. 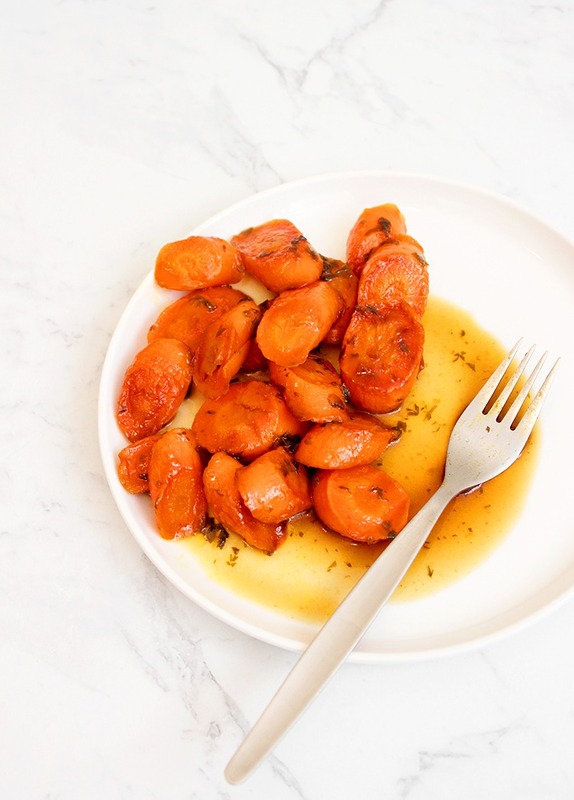 In a small bowl whisk together the maple syrup and lemon juice, add this to the saucepan and toss to coat the carrots. Let them sit for a couple of minutes so the glaze may become slightly thicker. Remove from the heat, serve up with some fresh parsley on top and enjoy!